Warrenpoint's Jim Carvill retained the Leinster Mid Amateur title at Grange. The former international was two shots clear of Joe Crangle (Fortwilliam) going into the final round after returning an excellent round of two under par. He continued his steady form to take the title for the second time by seven shots from Alan Dowling of Hermitage. Leinster Mid Amateur Championship (sponsored by A & L Goodbody) played at the Grange GC on Friday 15th August 2008. Alan Condren closed with a three over 71 and still won the Leinster Mid Amateur Open Championship by two strokes at Grange. 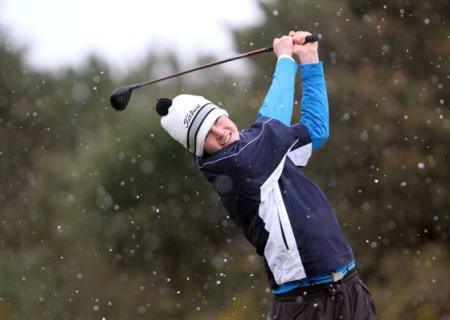 Snow falls as Newlands’ Jake Whelan drives off the 10th tee at The European Club. 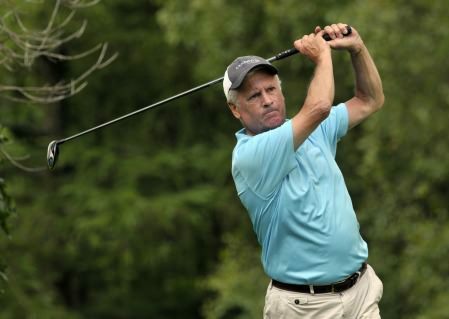 Photo Jenny Matthews/www.golffile.ieRobbie Pierse will be bidding to join Ryder Cup skipper Paul McGinley on the list of Grange men to lift the title when he takes a healthy four-stroke lead into the final round of what will be a 54-hole Leinster Youths Amateur Open at The European Club. Frank Gannon (Skerries) winner of the Leinster Veteran’s Amateur Championship at Enniscorthy Golf Club. Picture by Pat Cashman Skerries’ Frank Gannon won the Leinster Veterans Championship from Moate’s Bert Burke at Enniscorthy.